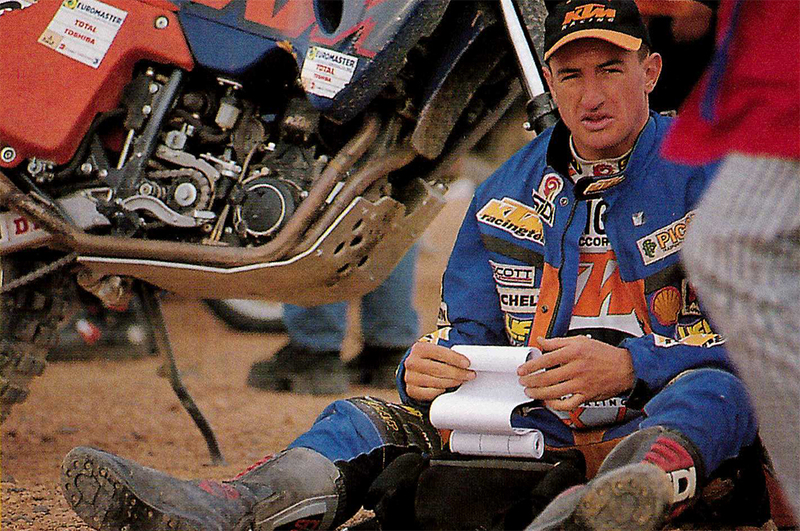 In this video of the Dakar 2002 We highlight some very exciting aspects related to this race: the first is the extraordinary solidarity that exists between the bikers. GIO Sala does not hesitate a moment to succor Isidre Pujol found along the track, While there are those who Dodge at the last and doesn't stop. 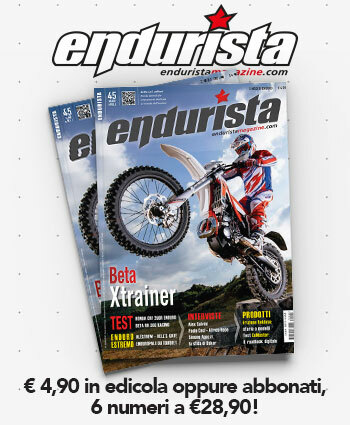 Not least is the extraordinary tenacity that characterizes the bikers: Hall asks whether it should operate the Balises to get relief efforts, but that estrometpartnership opens up automatically from the race, but Pujol despite being clearly in pain and in shock from the fall, asks him not to enable it to continue. The caresses of the Hall are from goosebumps and require no comments. 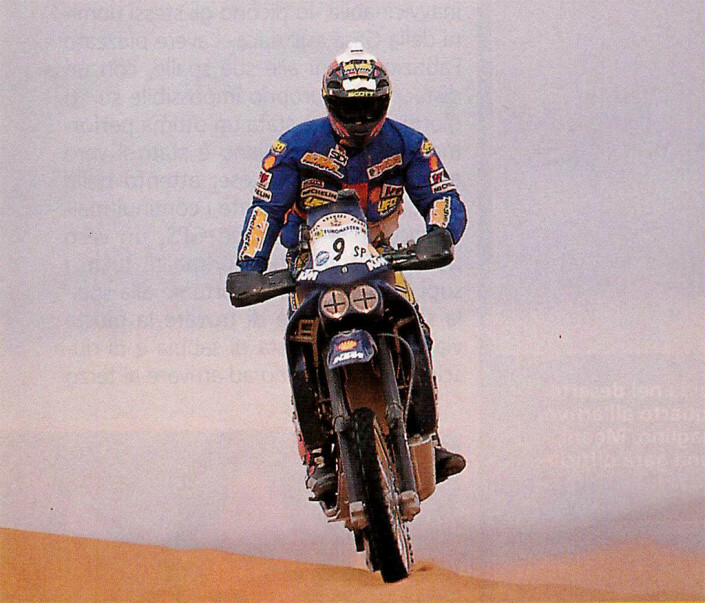 For the record, both arrived in Dakar, Pujol in 5th position and in Room 6a. 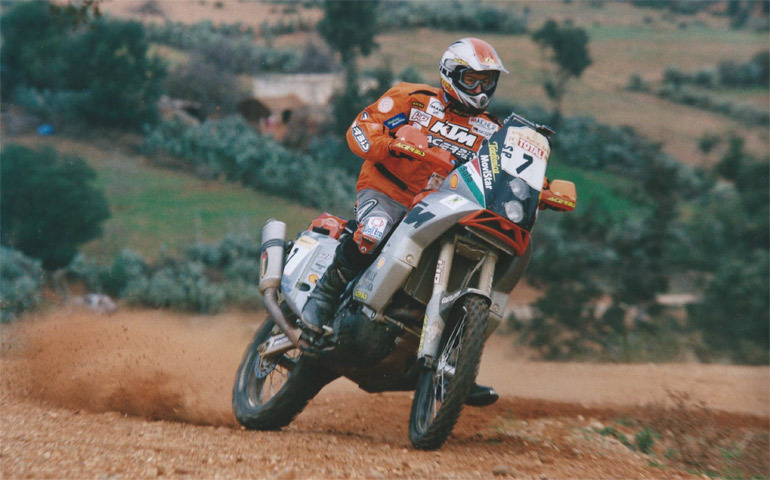 Concluding the “Dakar” 2002 Sixth Giovanni Sala scored its best performance since, in ' 98, He began his adventure in the most established and hard African rally. At the onset had in fact concluded 17°, in ' 99 he was rated 7° and had grasped the first stage win, in 2000 He had been forced to retire and the past year had placed only 14° but had centered four partial victories. “I am satisfied with my result, There is no doubt” He told us the champion of Gorle upon his return from the senegalese capital “Although the eve I had set as a goal to finish in the top five. I went very close, I got two stage wins, and I gained so much experience that I can leverage in upcoming occasions that may happen. In this area I think much and although I already 38 years I think I can still give a lot. The winner of the race, My teammate and friend Mahmoodi, of years has just turned 44, Yet at present is certainly the best and most complete of all”. – You had two days of glory but also several mishaps, It's true? “In fact, especially in the first few fractions of African race, those in Morocco. 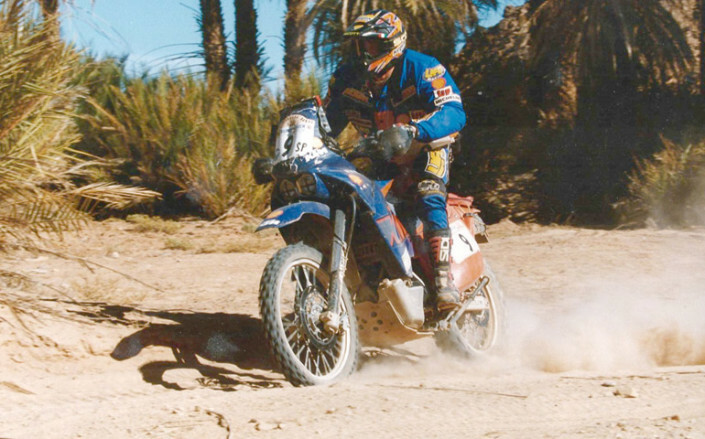 Our new Ktm twin had been prepared especially in Tunisia and had raced in Egypt, so soft and sandy terrain. On the stones and rocks of Morocco has created some difficulties, especially with the clutch, but when we have identified the cause of the problem and we fixed it up, everything went smooth away. Any anger he then procured the foreign traffic penalty by exceeding the speed when exiting a village but was suddenly anything but dangerous and I don't really remember going so strong so much that I even thought it had been traded my number 7 with the number 1 by Mahmoodi. Him at that point he confessed he had given a lot of gas. A big job in the third last leg I instead naivete, the marathon between Tichit and Kiffa. I had won the day before and then had to leave first and then lead the way. I've gotten pretty well but I took the control stamp secret and I suffered another heavy penalty. The next day I could win again but I lost a couple of minutes to help a competitor cadutomi front and are so finished second behind half a minute while the last brief sojourn on the pink Lake Dakar, that well knew, allowed me anyway to top it off”. How do you rate this “Dakar” than those which he attended previously? “It was a bit ' special, sharply divided into two. The first part, up to to Atar, undemanding and selective than ever so that the rest day of the Epiphany proved almost useless, at least for us beginners. The next stages instead really infernal, able to wear anyone. Absurd, then, in my opinion, the villages at night. We must consider that there are potholes and pitfalls everywhere and then over there across the street dozens of animals, all difficulties in the dark it is not easy to evaluate, particularly for us bikers who we will arrange fixtures still limited”. Riding a Thumper would go maybe better? “In fact I suffered a great deal on twin-cylinder weight. Even Meoni had similar problems but he drives motorcycle rally all year, I for several months step those enduro, decidedly more agile, and so I find it more difficult to adapt. In any case it is hard to say how it would go and, in any case, If I can compete again in this race, I'd like to try again with the twin. You've got discomfort at some stage but it gives great satisfaction in many other”. In this race you only grows as pilots or even as men? “It is true, It gives you much also from the human point of view. Explore deeper into yourself, outbursts of solidarity that inspires you in everyday life are not as spontaneous, You also hardening in the spirit, allows you to know reality so different. Also in the relationship with the other competitors you create something special which is not the case in other races”. 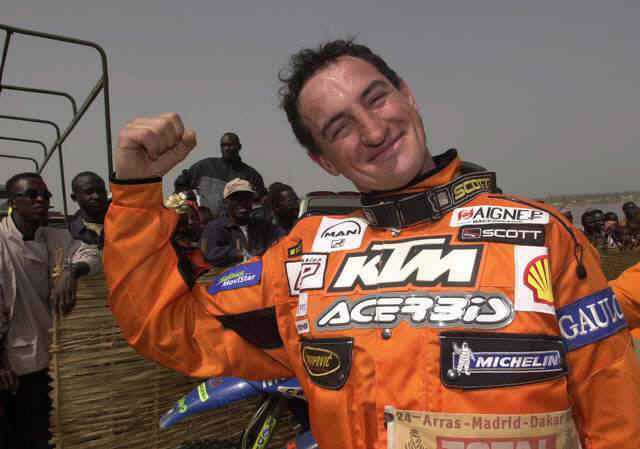 -After five world titles in the enduro his current dream is just win once the Dakar? “I can't deny that this competition has for me a remarkable charm. I really want to do well in rallying and because the Dakar is the Queen of the rally is clear that I would be able to conquer it. However, realist and I must admit to not being probably not ready yet, too often do I incur in blunders, in crap that someone like Meoni wouldn't. However, taking advantage of each new mistake also feel to improve and who knows that sooner or later you don't learn all the tricks and can put them into practice at its best”. What are your short term programs? “After this meal of about ten thousand km riding sleeping little or nothing, I really think I am going to give ten days to stop. I will dedicate to the affections and the fans, then at the end of the month there is the rally enduro blues and then testing with the 520 with whom I will participate to the Italian enduro Championship and in 600 4 times, the displacement that I longed for some time. Finally was accommodated. 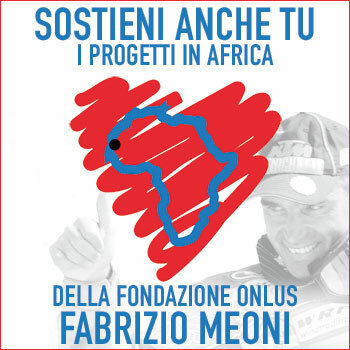 The first major race will be the opening of the Tricolor, at the beginning of March, While the next rally should be the one in Tunisia, in April”. The Official KTM Repsol Team before the start of the Dakar 2007. From left: Marc Coma #1, Giovanni Sala #3 and Jordi Viladoms #2. 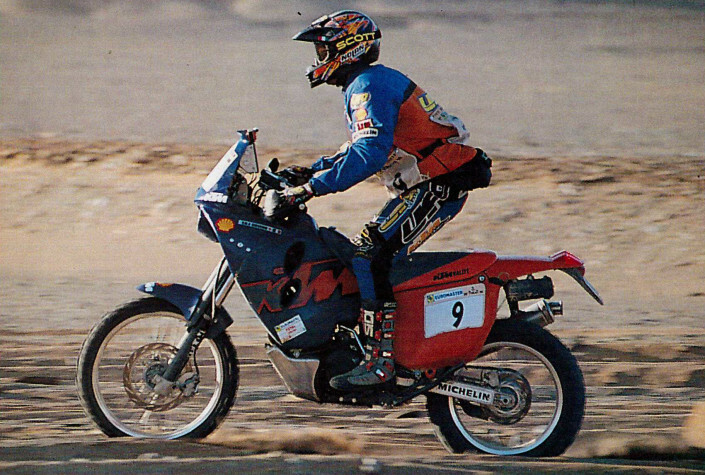 Very pleased Giovanni Sala, debuting at the Dakar 1998 and the first real experience with road book and GPS. "After the first week – tells the enduro champion – I thought I had learned all the tricks of navigation; then I got lost a few times and I knew… not understanding anything. But how do they read the notes?». John still consider the positive experience and the Dakar an interesting race. Here are the differences with the enduro. «The most incredHow is that I work out every day, I go into motion at least twice a week, then came here and I'll get a big payday from the belly and the cigarette in his mouth! Enduro you always drive to 100% While here you have to strike the right balance between speed and navigation. Surely it is an experience to be repeated, Although it is the most dangerous discipline I ever made. As soon as you get distracted, and it's normal when you're maybe ten hours in the saddle, cadi. There are of trails in the midst of the stones where vacations 130 km/h and if you're not used to the speed, If you don't have good reflexes, you end up getting hurt». Drive strong with an eye to the notes, These are the main difficulties!